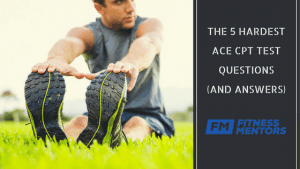 The ACE CPT exam is known to be one of the most difficult in the fitness industry. With 150 questions in 180 minutes, you’d better know your stuff if you’re going to pass this one the first time around. When you sign up, the study materials you get from ACE include a book, some basic online materials and a “good luck” pat on the back. It is no wonder that nearly one third of all ACE CPT test takers fail. But, you’re smart and you’re found this great resource that will help you be one of the two-thirds who passes and starts an awesome career path in personal training. The following recommendations have been put together by me, a college professor responsible for helping 1,000s of students get their personal trainer certifications. In my many years of experience I have figured out the best study materials and have even created a few of the best ones on the market. I also have many leather bound books and my walls smell of mahogany. Trust me when I say that this textbook will be your best study tool as all the information you’ll find in the final exam is contained in the book. At the time of this writing, the fifth edition is the most up-to-date version of the book. 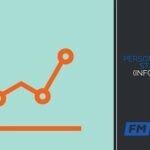 Here, you’ll find the key concepts and terms that you’ll need to prepare yourself for the exam and to become a solid personal trainer. 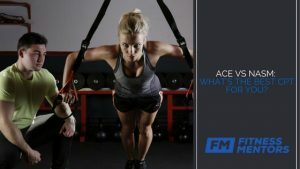 You’ll also find the ACE Integrated Fitness Training® Model, insight on managing a personal training business, and technical standards adopted and developed by ACE. 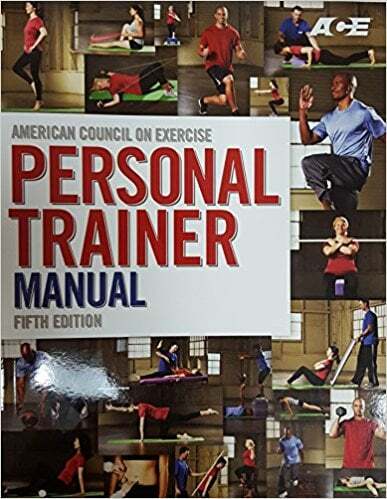 In addition to new technical standards for cardiorespiratory, functional and resistance training, the manual also features new information about managing a personal training business, engaging graphics that identify key concepts and terms, and essential exercise science information. Although some chapters are more important than others, you’ll likely find that questions are pulled from every chapter, so it is important to read each chapter and understand its concepts. The Essentials of Exercise Science for Fitness Professionals text is also a good asset to read and understand as it covers foundational exercise science, human anatomy, exercise physiology, fundamentals of applied kinesiology, nutrition basics, and the physiology of training. Appendices A-C are also very important and will contain a few test questions, namely from the ACE Code of Ethics. ACE provides a few online study tools that you will want to utilize as part of their ACE Academy Elite 2018 interactive study platform. This platform includes video lessons, progress tracking, and practice quizzes to help you reduce the time you need to study. The ACE Study Center on Facebook is a dedicated social page that allows you to connect with others preparing for the exam as well as help you find tips from candidates who have taken the exam. There are numerous study guides that I have found to be useful, however, the Fitness Mentors team created most of them. Within the ACE book, the Exam Content Outline located in the back of the book is a helpful resource. Fitness Mentors has created a Free ACE CPT Study Guide that includes a chapter-by-chapter resource. 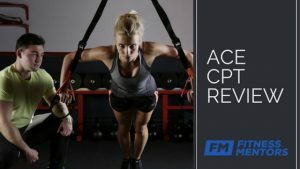 The Fitness Mentors Premium Study Guide for the ACE CPT Exam provides you with all the specific topics that are covered on the exam, puts you through tried and true learning methodologies, and ensures you learn the topics from lots of different angles. When looking through the App Store, whether Android or Apple, there are a total of 4 apps that aim to assist students in passing their ACE CPT Exam. Most of these are just test questions and/or flashcards created from or taken from older versions of the material. The subjects don’t change a whole lot as far as the information, but the questions from the actual exam change significantly. That being said, utilizing these tools to improve your test taking ability and question comprehension can be useful to someone who struggles at test taking in general. Perform a simple search for “ACE CPT” and you’ll see a wide range of apps from free to $10. While I do like these apps for improving test taking ability and comprehension of concepts, I caution you to not allow the apps to build too much confidence. Reason being, ACE will do their best to alter the questions so that they are not the same ones that are littered around the internet. The takeaway is that apps can help you prepare, but you won’t rely on them as if they are the exact test questions you’ll see on the exam. This is why it is so important to not only practice test taking, but to also ensure you understand the concepts of the book so you can interpret different styles of questions. Imagine getting ready in the shower to an extremely good-looking professor going over all the important concepts to study in for the ACE CPT exam. With the Fitness Mentors’ Audio Lectures for the ACE Certified Personal Trainer Exam, that is exactly what you get. Why ACE has not created something like this boggles my mind. People tend to learn best when an actual human breaks down concepts in a simple to digest way they can understand and learn to apply. The Audio Lectures can be used similarly to the Study Guide, as you study for the first time chapter by chapter (recommended 2 months of studying), or after you have read you go back and review the material in a different light (recommended 2 weeks to 1 month of studying).When you combine the explanation of Audio Lectures with the further comprehension of the Study Guide, you get a study package set up for true understanding and success. As a teacher and continuous student of all things fitness, it is easy to stand by the 99% pass rate as a measure of effectiveness. Click here (shameless plug) to learn more about the Audio Lectures for the ACE CPT. Practice tests are an excellent way to test your knowledge and measure yourself against a clock. ACE provides two, 150-question practice tests as part of their study packages that you’ll definitely want to check out. I’ve shared my feelings towards apps — they are good for improving test taking ability and comprehension of concepts, but I would not rely on them for memorizing similar questions on the exam. 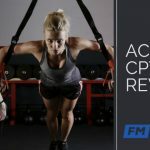 For the most up-to-date questions that are updated based on actual test-taker feedback, you’ll want to check out the Practice Tests for the ACE CPT from Fitness Mentors. With over 400 ACE CPT questions based off of specific test topics, and organized in quiz form for every chapter as well as two final exams, they are the best test-taking resource on the web. ​The Practice Tests should be used after completing your reading and other study materials on a chapter-by-chapter basis or at the finish of all studying. Once again, if you test yourself before you know anything it might not do much good. The Practice Tests for the ACE CPT should be used anywhere from 1-3 days before the exam, to 2 months prior if you choose to test yourself after each chapter you complete. With ACE, you have six months from the time you buy your study materials (from them) to schedule your exam (but you can take it within nine months). While you could just read the book within that time frame and take the test, I’ve found that most students don’t have a lot of success this way. As life tends to get in the way of studying and we can’t all remember everything we read forever, we have created a 8 and 4 Week Study Timeline. This is especially helpful for those of you that want to dive right in and complete your certification ASAP, or for those who may have struggled and have limited time left. Of course, study timelines are not always enough if you leave it to the last minute to cram, and in this case, you’d be better suited using our practice tests, study guides and audio lectures to get up to speed. You can also call us anytime if you have a special scenario so we can point you in the right direction and tailor a specific study program that fits your needs (424) 675-0476. Complete the form below to access the 8 and 4 Week Study Timelines for the ACE CPT Exam. Download your FREE 4 and 8 week study timeline for the ACE CPT exam. This may sounds like another shameless plug, but we are confident in our products and have worked really hard making them the best ACE study materials out there. The Fitness Mentors’ Online Course for the ACE CPT Exam includes all the stuff we’ve discussed above — practice tests, study guides, audio lectures — plus a bunch of bonus stuff we only offer in this package: PowerPoint Presentations, PowerPoint Lectures, Study Guide Answers, and a Final Exam Review. We are so confident in it we even offer a pass guarantee. If you have any questions or concerns, please call us or feel free to leave a comment below. 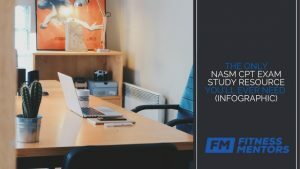 ACE vs NASM: What’s the Best CPT for You?